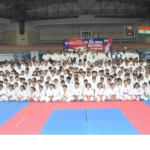 This report covers the 36th Annual Japan Karate Association’s All India Karate Camp. 1. Shihan Y. Ogura, 7th Dan, Managing Director of JKA Hq. 2. Sensei N. Dhawan, 6th Dan from Chicago, USA. 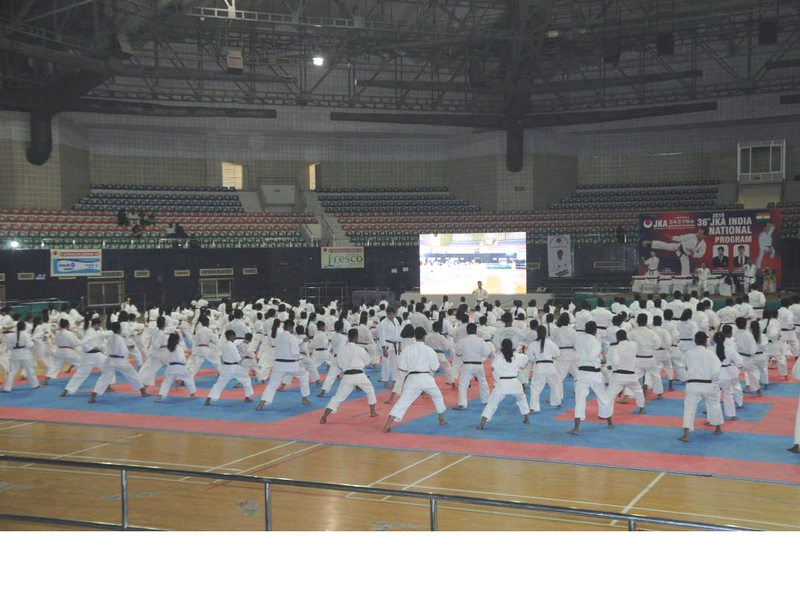 The camp was held from 18th ~ 21st January 2019 in Hyderabad at the International Venue of the Gachibowli Indoor Stadium. 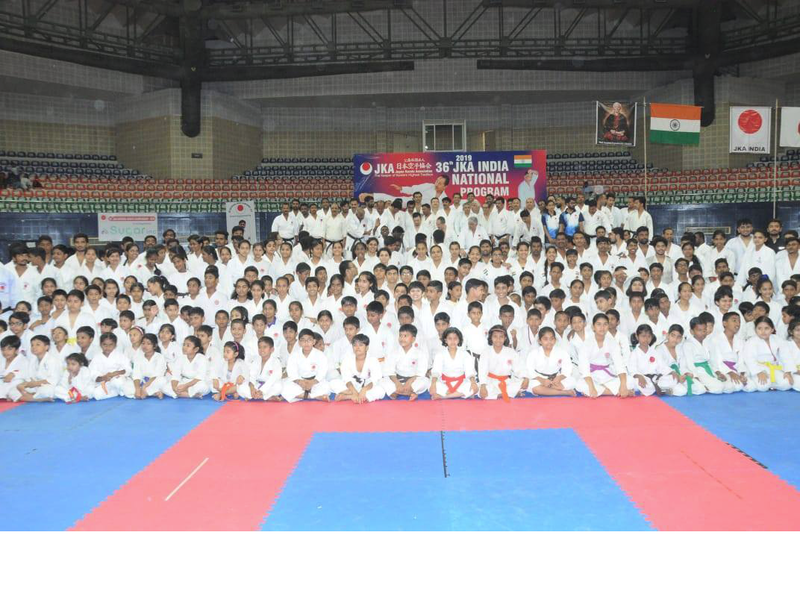 The 36th Annual JKA All India Karate Championships were also held at the same venue coinciding with the Camp. 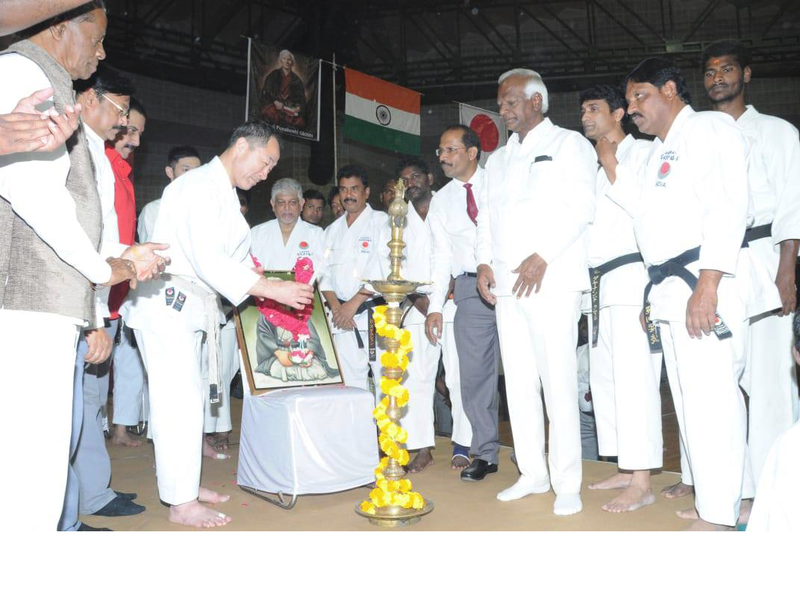 This was Ogura Shihan’s 2nd visit and Shimizu sensei’s 1st visit to India to instruct in the camp organized by the original JKA body set up by the late Shoichi Sasaki Shihan from JKA Japan over 4 decades ago. On the first day of the camp Ogura Shihan conducted the first Seminar which was a Joint session of Kihon for the entire group. For the 2nd seminar the participants were divided into 3 groups with Ogura Sensei teaching the A class of 3rd Dan and above, Shimizu Sensei teaching the B class which consisted of Shodans & Nidans and Ratna Sensei training the C class which consisted of coloured belts. 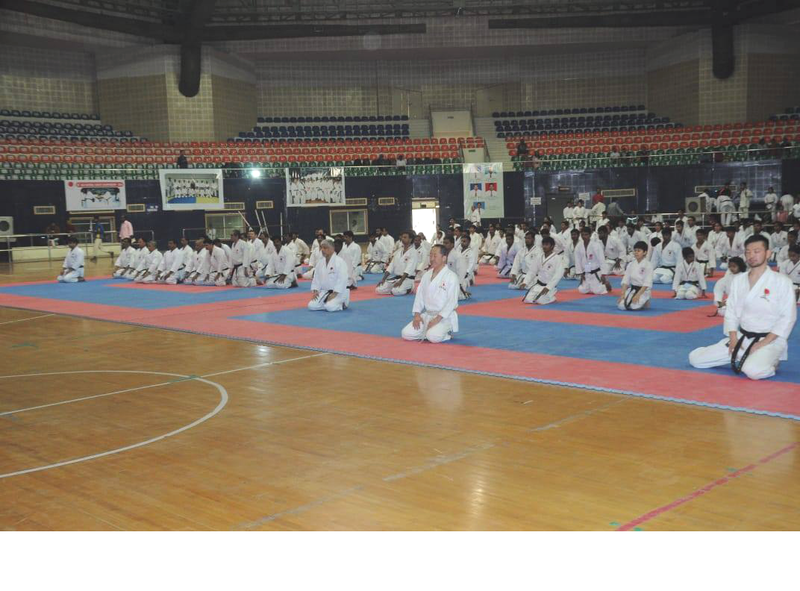 The 3rd seminar was Judges Seminar conducted for participants of Nidan Grade & above by Ogura Shihan and Ratna Sensei. The B & C classes were conducted by Shimizu Sensei and Dhawan Sensei respectively. The Inauguration ceremony took place in the afternoon and the Program was inaugurated by the Ex Deputy Chief Minister of the State and other dignitaries by the traditional lighting of the lamp. 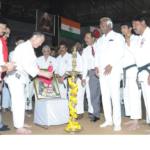 Both Ogura Shihan & Shimizu Sensei lit the lamps and during his inaugural speech Ogura Shihan made the announcement of the Asia Oceania Championships in Bangkok, Thailand this year and the World Cup in Japan next year. In the evening nearly 75 senior trainees gathered at the hotel where the Instructors were staying to party in celebration of Shimizu Sensei’s Birthday. The 2nd days proceedings began with Shimizu Sensei conducting the 4th Seminar which was Kihon for all the 3 classes . The 5th seminar was a Tokui Kata Seminar conducted separately for the class A by Ogura Shihan ; Class B by Shimizu Sensei & class C by Ratna Sensei. The 6th seminar consisted of Kihon Kumite for Class B by Shimizu Sensei & Class C by Dhawan Sensei. The Judge Seminar by Ogura Shihan and Ratna Sensei. was continued for the Class A participants. The 3rd days proceedings began with the 7th Seminar being joint training for all the three classes conducted by Ogura Shihan. The emphasis was on the expansion and contraction of the lower body muscles, the correct usage of speed and strength while doing the kihon. The 8th & 9th seminar was conducted separately for each class of participants. Class A taught by Ogura Shihan trained in the Grading Syllabus for San Dan & Yon Dan . Class B which was taught by Shimizu Sensei trained for the JKA Syllabus of Ni Dan & Sho Dan. While Class C was taught by Ratna Sensei. 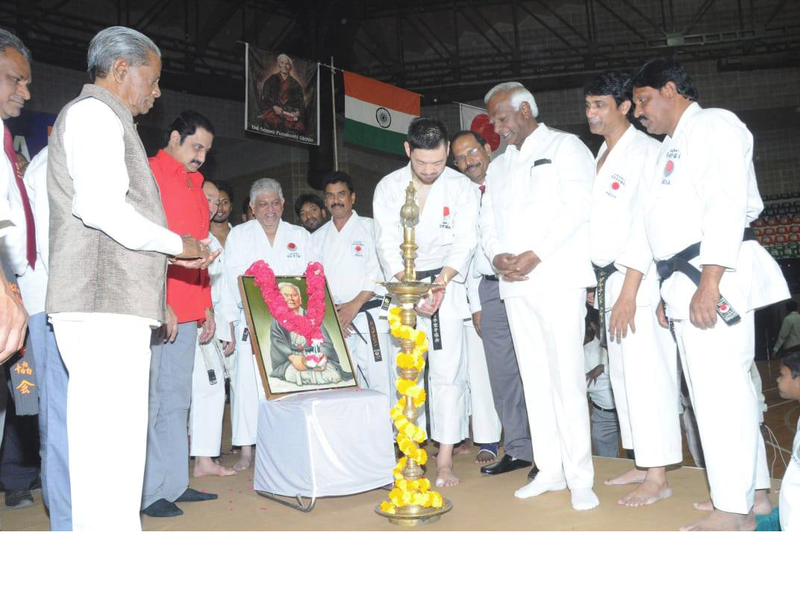 The 4th Day was kept exclusively for the Dan Grading and the Finals of the tournament. The Dan Gradings and the Technical Licence Testing were conducted by an Examiner’s Panel with Ogura Shihan being assisted on the Panel by Shimizu Sensei & Ratna Sensei. 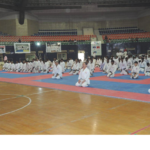 After concluding the Dan Examinations, Ogura Shihan was also the Chief Referee for the Finals of the 36th Annual JKA All India Karate Championships. 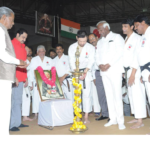 Since all the Instructors were departing from Hyderabad on the 21st evening itself, a Luncheon party was organized to celebrate Ogura Shihan’s Birthday. At the end of the party, both the Headquarter Instructors spoke to the members who were present and advised them to follow the JKA Way. The participants were extremely happy with the training as they were given a fantastic opportunity to interact and learn from the headquarter instructors. For many of the Seniors who have been attending such Camps for well over 4 decades, this Camp was unique as it was the first time that both the JKA Hq. Instructors celebrated their birthdays during the Camp with Shimizu Sensei celebrating his birthday on the 1st day of the Camp and Ogura Shihan celebrating his on the last day. We are very grateful to the JKA Headquarters for sending so many excellent Instructors to our Country to teach us. Each of these Instructors has an unique individual way of teaching and we are very lucky to have different instructors each year. 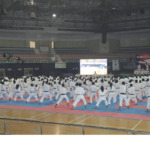 JKA India is grateful to all the state representatives and branch heads who along with their members made this event successful, Special thanks to Neeraj Dhawan Sensei from the USA, who comes to India every year to help with the Camp and Tournament. Last but not least to our own Chief Instructor Ratna Sensei for ensuring that the training by the JKA Hq. Instructors is always received by us.